The possibility of encountering ice can elevate the risks associated with already complex marine projects. Ice can damage equipment and render seemingly trivial tasks impossible if proper precautions are not taken. Aker Arctic’s approach to ice management is a holistic approach that considers environmental, design, and operational elements of the project to enable safe and efficient station keeping operations in ice. The presence of ice introduces significant challenges and risks for station keeping operations. Although ice management is a critical component of these operations, adding ice management to an existing system does not guarantee a successful project. Our ice management solutions are based on an assessment of our client’s equipment, operations, and the environment in which it must operate. We identify the challenges and risks associated with operating in ice, which form the foundation for our proposed solution. Our ice management solutions minimize operational risks, maximizing safety and uptime with the least cost to our customers. Aker Arctic has been at the forefront of ice management operations for decades. We have substantial experience in planning, modeling, executing, and conducting ice management operations supporting station keeping operations in ice. Our work has resulted in the development of new risk control methods for highly sensitive operations and the application of new techniques for managing ice (such as ice clearing using azimuth thrusters) to enable safe and efficient operations in some of the world’s most challenging ice conditions. Most recently, Aker Arctic has been part of a group of international experts who are developing Ice Management standards for Arctic Operations (ISO 35104). 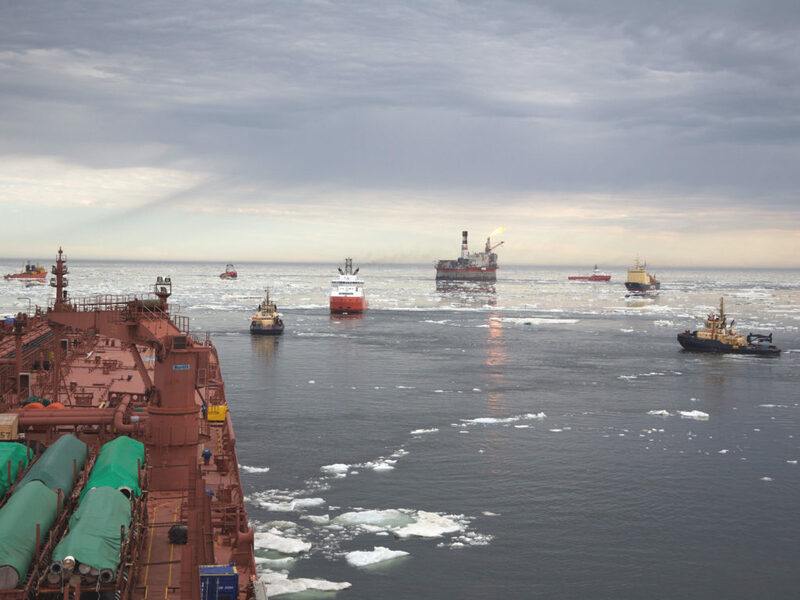 Using this experience, Aker Arctic can assist our customers in developing ice management solutions to achieve maximum operational time while providing a complete understanding of the risks associated with operating in ice. Aker Arctic’s approach to ice management is based on two key principals: physical ice management and ice risk management. Physical Ice Management allows operations to be conducted further into the ice season by modifying the ice conditions local to the operating site. There are a variety of ways to break or deflect ice – the optimal of which depends on the specifics of the operation being supported and the available vessels. We have developed models, conducted full-scale trials, and applied these methods during field operations. Whether designing new vessels or trying to make the most out of existing assets, customers can rely on Aker Arctic Technology’s expertise to ensure that they receive a reliable assessment of their assets’ capabilities. Ice Risk Management provides the customer all the critical information required to understand operational risks in a clear and concise manner. This enables effective operational decision making, such as coordinating marine and aerial assets, and if required, suspending operations to keep the platform, environment, and personnel safe. We have provided a central role in collecting, summarizing, and distributing information related to ice management performance to support operational decision making. We work with operators to define what is important for their operations, and present data in a format that eliminates uncertainty and directly supports project objectives.